Shabbat Services as of November 1, 2018 will be at 7:00 pm every Friday night. Temple Beth Torah is a vibrant Reform Jewish Congregation located in the west-central Palm Beach County Village of Wellington. We’re actively engaged in the lives of some 1,100 people – – more than 100 young children in our accredited preschool, some 250 kids from kindergarten to grade 12 in our religious school programs, dozens of kids in our NFTY youth programs, and 750 adults that call this their spiritual home. 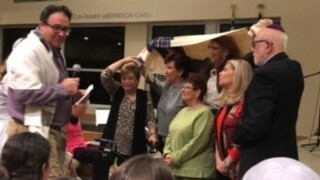 And we are active in our community and in the greater Jewish community of south Florida. 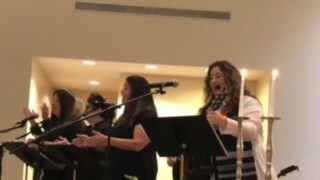 Our worship services and festival observances are filled with music and we try to make them inspiring, inclusive and invigorating. 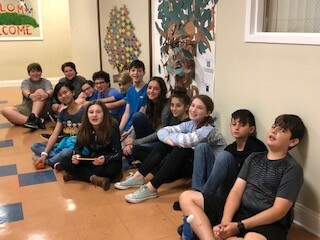 Friends of all ages will find a caring connection at Temple Beth Torah. We are a member of the Union for Reform Judaism – the synagogue arm of the Reform Movement – strengthening 900 congregations throughout North America. On Fridays our Erev Shabbat worship service begins at 7:00 PM. On Saturday mornings our lay-led Torah Study begins at 8:45 AM. Our Shabbat Morning worship service begins at 10:00 AM, if there is a B'nai Mitzvah; please check the calendar. We cordially invite you to join us. We look forward to greeting you. Shalom!